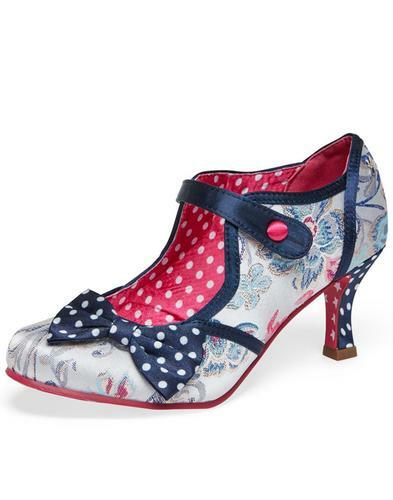 Treat your feet with these gorgeous vintage Dazzle Razzle heels from Irregular Choice. With a black furry upper and metallic silver geometric stained glass window effect, these heels are sure to dazzle and delight! 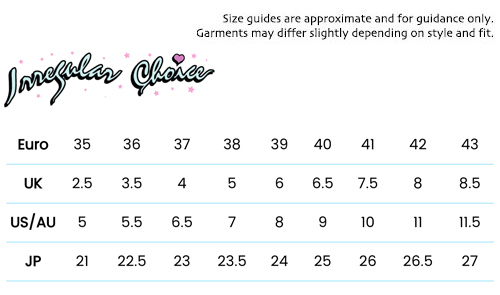 These stunning heels also have a split front detail and a big beautiful bow on the front that adds a feminine touch to your glitz and glam. 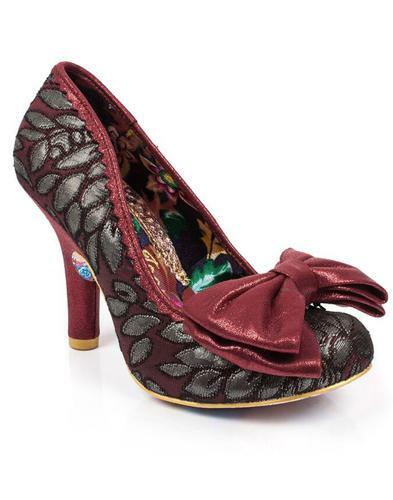 The ultimate party heel from Irregular Choice! 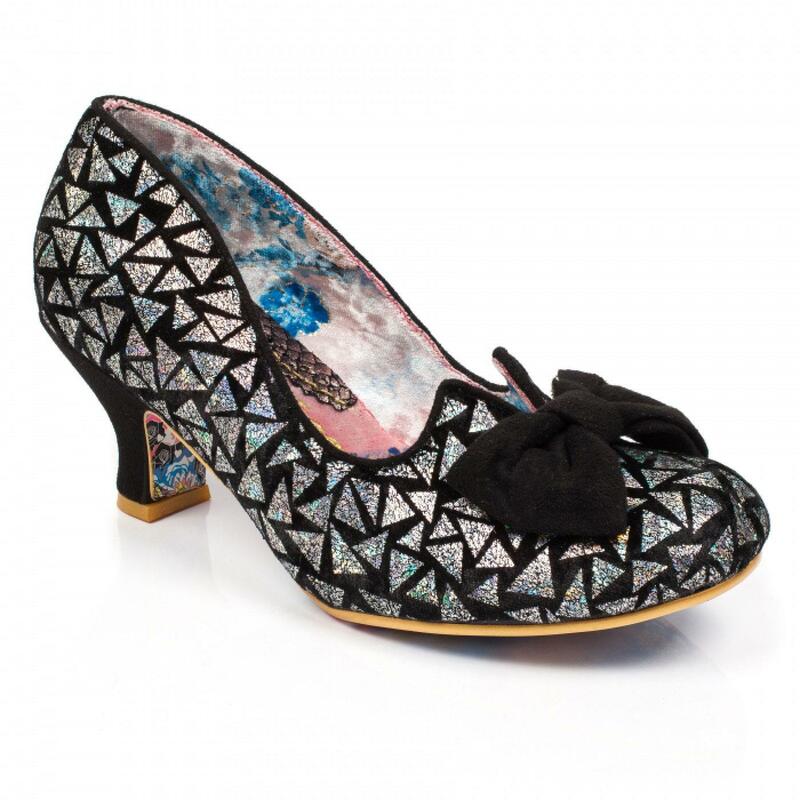 Dazzle Razzle vintage metallic geometric heels in black. Black and metallic silver geometric upper. Black bow on the toe. 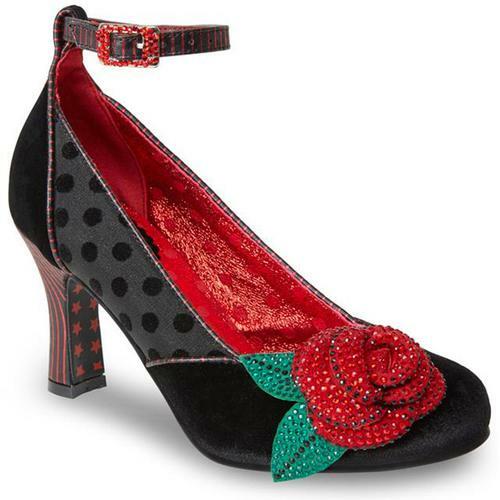 Black mid-heel with gold heel cap.